We’re shining our spotlight on long standing igoo client, Steve James Motor Cars. The used car specialists underwent a big web refresh last year, which helped to make the process of finding the perfect car a whole lot easier. 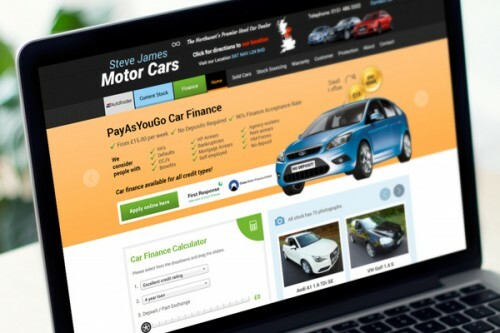 This year, we’ve focused on redesigning the homepage to promote the ‘pay-as-you-go’ car financing service. We have refreshed the finance calculator, which allows customers to estimate their average monthly repayments and find the right car for them. In the last few months, we have also produced a range of external signage at the company’s main offices in South Liverpool.